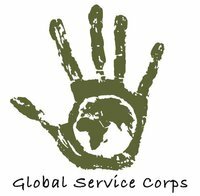 Next month, IVPA member Global Service Corps (GSC) will be launching their new New Cambodian Food Security Program. This program will use the successes and lessons of GSC’s 16 years in East Africa in community development, sustainable agriculture and management and will partner with the Cambodian government. For more information on GSC’s new programs please click here or check out GSC’s Newsletter. Also, if you are in the San Francisco area please look into the amazing fundraising dinner GSC has organized. Cross-Cultural Solutions and Globe Aware were highlighted as quality organizations with great reputations, and flexible options for a volunteer vacation. To be honest I haven’t heard much about these type of fundraising vacations. One of the examples the article gives is For A Cause which combines the fundraising concept of participating in races, like “Race for the Cure” with traveling. I agree that this sort of fundraising vacation wouldn’t fit into the concept of volunteering abroad or voluntourism but it is interesting how the traditional lines of vacation, volunteering, sustainable travel etc are being blended. Alexia Nestora of Voluntourism Gal and LAsso Communications has put together a great one-day conference on Voluntourism, June 28th in Denver, CO. I am excited about the topics and the people. It looks like it will be a great event. Take a look at her blog for more information.